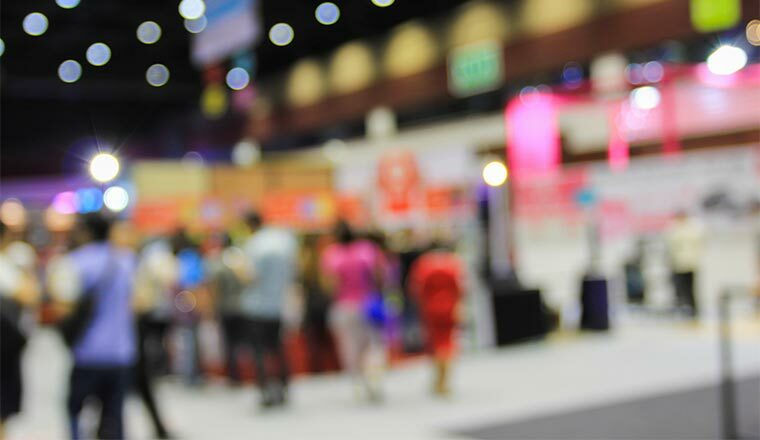 The Call & Contact Centre Expo 2019 will be taking place on 27th & 28th March 2019 at the Excel, London. Find out what not to miss while you are there! Everyone talks about how digital transformation is changing the way customers engage with businesses, but how often do they listen? In honour of this month’s Call & Contact Centre Expo, RingCentral want to know: what are your contact centre challenges? The company will have their industry experts on hand (at stand 310) to help you optimise your engagement strategy across all channels, and they will gift you a £10 Costa Coffee voucher at the Expo for your participation in their short Contact Centre Conundrums survey. But that’s not all. You will also be entered in a draw for a chance to win your choice of an Apple iPad Pro 12.9-inch display or a pair of Bowers & Wilkins PX noise-cancelling headphones. RingCentral are also hosting a VIP event in the evening where you’ll be able to hear from customers, speak to contact centre experts and mingle over drinks and canapés. To secure your invitation to the VIP event, click here. Jabra is offering all UK and Ireland-based contact centre operators the chance to trial its headsets and software and compare performance against their existing technology at this year’s Expo. What’s more, the company is promising to match the cost of their current provider on comparable devices, giving contact centres the chance to optimise call quality and employee comfort while still saving money on their investment. Jabra will also be showcasing its portfolio of contact centre technologies at the show, including the company’s new Engage 50 corded digital headset. Visitors to the show can also head over to stand 970 to experience Jabra’s range of contact centre technologies and book its benchmarking test. Which Stands Should You Be Visiting? Below is a list of companies that we recommend visiting while you’re at the show. Come along to the 8×8 stand for your chance to win an iPhone X.
Meghan Keough will be speaking as part of Keynote 3 on Wednesday at 12.30 – 13.00, giving a presentation entitled: “Driving the New Speed of Business Through AI Powered Contact Centre”. Ian Colville will be speaking in Theatre 21 on Thursday at 11.00 – 11.30, giving a presentation entitled: “Deploying Flexible, Scalable, Speaker Verification With Integrated Multi-Factor Authentication”. Andrew McMillan is an Independent Speaker for Aspect Software, running a seminar on the topic of a “Truly Memorable Customer Experience”. Come and speak with Britannic Technologies’ team of experienced experts to see how their technology can help you integrate advanced webchat capabilities into your contact centre. Come to stand 360 at the @CallCentreEx and grab yourself a bag of pick ‘n’ mix, while also talking to the Business Systems team about your contact centre technology needs! Alex Allan will be speaking in Theatre 23 on Thursday at 14.45 – 15.15, giving a presentation entitled: “The Future of Workforce Blending”. Frank Sherlock will be speaking in Theatre 19 on Wednesday at 13.15 – 13.45, giving a presentation entitled: “The Paradigm Shift to Automated QA and Real-Time Feedback”. Mercedes Barbuti will be speaking in Theatre 23 on Wednesday at 14.00 – 14.30, giving a presentation entitled: “Augmented Customer Interactions: Data at the Heart of Your Contact Centre”. Steve Kennedy will be speaking in Theatre 20 on Thursday at 14.00 – 14.30, giving a presentation entitled: “Beyond the Hype: Contact Center AI That Works”. Scott Kolman will be speaking in Theatre 18 on Wednesday at 14.00 – 14.30, giving a presentation entitled: “Turn Your Call Center Into an Intelligent Contact Center”. Wendell Black will be speaking in Theatre 17 on Thursday at 12.30 – 13.00, giving a presentation entitled: “Happy Agents Make Happy Customers”. Are you attending the Call & Contact Centre Expo in London on 27th or 28th March? Come and say hi to Natterbox on stand 272! Odigio’s experts Bobby Abedeen, Victor Nguyen Deveze, David Paulding, Andrew Hall and Steven Harris will be happy to meet you and answer your questions about digital transformation, innovation and future developments in customer experience at stand 444. Also, learn more about Odigo and how the company can help you to build more meaningful relationships with your customers through personalised interactions! Thomas Rødseth will be speaking in Theatre 19 on Thursday at 13.15 – 13.45, giving a presentation entitled: “The Dream Contact Centre: Seamless Integration, Seamless Customer Service”. John Finch will be speaking in Keynote 4 on Wednesday at 11.45 – 12.15, giving a presentation entitled: “Customer Engagement in the Digital Era”. Julien Rio will be speaking in Theatre 20 on Thursday at 12.30 – 13.00, giving a presentation entitled: “Jumpstart Your Omni-Digital Strategy”. Matt Dyer will be speaking in Theatre 22 on Wednesday at 13.15 – 13.45, giving a presentation entitled: “Staying Ahead of the Game”. Right around the corner, the @SerenovaShine team will be at @CallCentreEx at stand 382 – so make sure to come see them if you’d like to find out more about cloud contact centres! Simon Beeching will be speaking in Theatre 22 on Wednesday at 14.45 – 15.15, giving a presentation entitled: “Securing Card Payments in Call Centres Whilst Improving Customer Experience”. Eduardo Miller will be speaking in Theatre 23 on Wednesday at 13.15 – 13.45, giving a presentation entitled: “Joined-up Systems, Joined-up Journeys”. Teon Rosandic will be speaking on behalf of Talkdesk, running a seminar on the topic of: “How to Minimise the Impact of Contact Centre Outages”. Elena Volozova will be speaking in Theatre 19 on Wednesday at 16.15 – 16.45, giving a presentation entitled: “Keeping Connection Offline: 4 Ways to Increase Sales With Communications”.